Modern designs have creative layouts as a key feature. 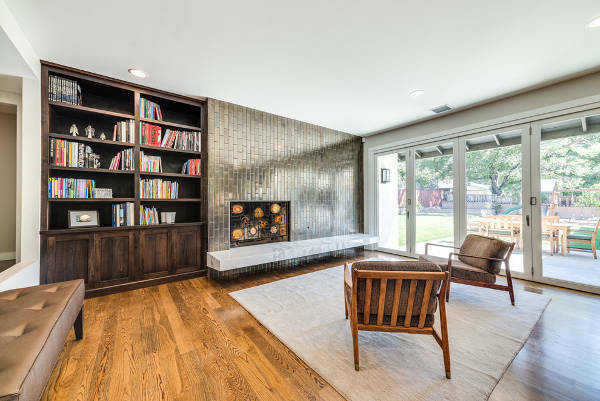 You can find amazing bookcases in many shapes and designs using a variety of materials that look simple and minimalistic adding a touch of elegance to a room’s general look. Suitable for modern and contemporary apartments that follow the current trends. 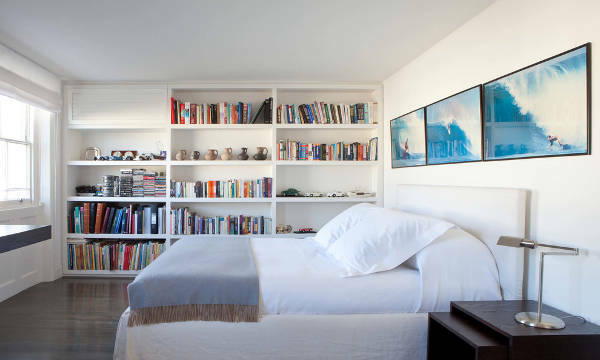 From floating shelves to in-built designs you can find anything you might need for your bedroom. A bookcase will help you keep your books organized along with formal files and other necessities. This will allow you to keep your room clutter free and add a stylish touch. Every corner can be used for a bookcase. Apart from the extra storage space it will provide, it will make efficient use of an empty and unused spot of your house. There are available many corner bookcase designs in stunning colors and in traditional and modern materials to choose from. A funny and stylish bookcase design will prove useful in kids’ rooms. You can get a bookcase with tall shelves that will allow you to store baskets with your kids’ toys. Teach your kids about the importance of organizing one’s room with colorful designs in various styles and layouts. The combination of metal and wood can give you the most stunning designs of industrial bookcases. Their style makes them suitable for storing books, plants, decorative accessories and tools. You can incorporate this style in every room of the house. It can also look perfect on your patio. Showcase your collections in your living room with the right bookcase design. Make all your guests admire you for both your taste and your collections by decorating the bookcase with style. Use sophisticated and elegant accessories, accentuating them with recessed lighting to bring out the bookcase’s and the accessories’ designs. 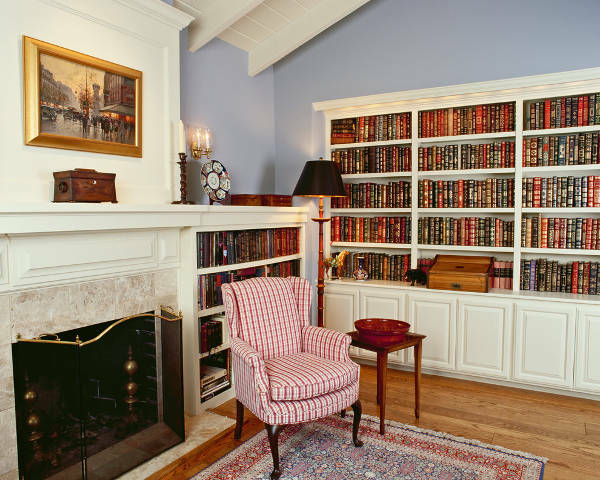 A built in design has the ability to follow the walls line making the bookcase look like a part of the house. You can use these designs for your fireplace or for a window creating a reading nook. The created storage space will look natural giving a homey look. 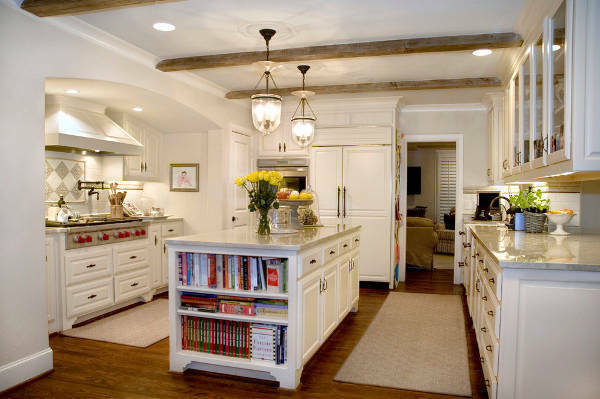 Whether it’s a solid structure or simple floating shelves, a kitchen needs extra space to store items, cook books and appliances. This is a great way to keep your kitchen organized and tidy. 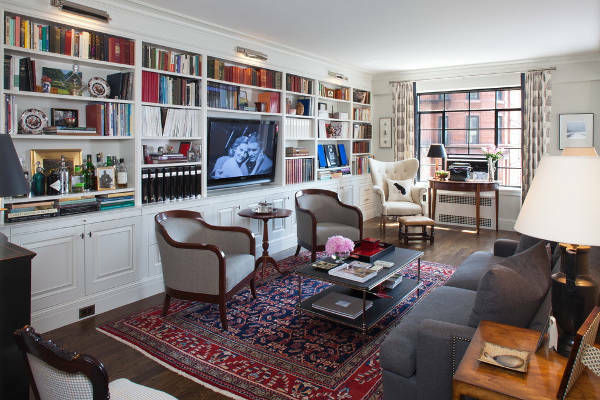 Make a difference by choosing a bookcase design in a contrasting material, creating a stylish controversy. Rustic designs have a classic look that adds raw elegance to a room. It’s suitable for traditional and shabby chic styled homes in order to add a tone of warmth. Most designs are available in natural materials like wood, however you can find many amazing pieces in combinations with metal. Traditional bookcases come in a multitude of designs that allow for versatile use. 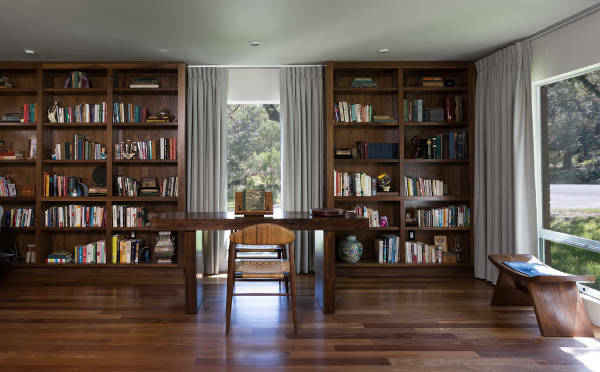 With separated sections for drawers and shelves, the traditional bookcase will help you create a beautiful setting no matter where you choose to place it. Available in every shade of brown and cream white to choose from. The open bookcase designs are suitable for small spaces. They have an open design that doesn’t look stuffy while allowing you to decorate your space in a smart and effective way. From ethnic vase collections to your vinyl discs collections you can showcase anything with style. Bookcases have been used for a very long time. 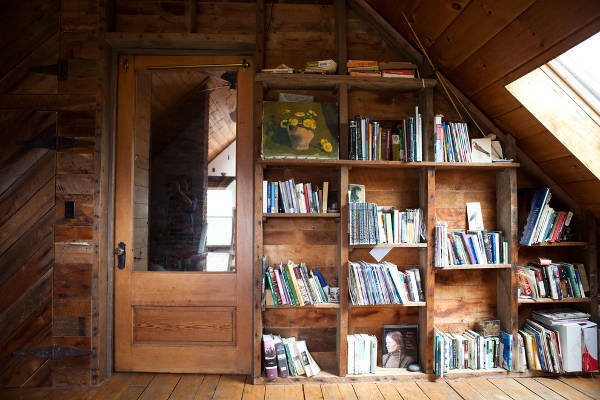 Stacking and organizing books was the primary reason these furniture were built for. Nowadays they are used for decorating reasons. Even a simple design of a bookcase can be decorated. If the books you have don’t fill out all the space then make sure to add accessories. A small statue, an ethnic mask, a modern clock or even a small plant can give a stylish upgrade. Don’t be afraid to style your bookcases. The storage space they provide is valuable but that doesn’t mean that it shouldn’t look fashionable. 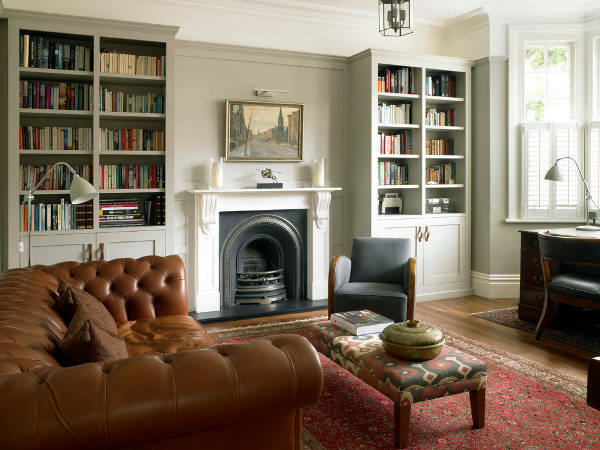 Choose the right bookcase according to a room’s style. You can either make it a part of the room or simply have it stand out for style.